Part of the FW18 collection, the Davis single earring is an eye-catching piece combining piercing inspired shape with a 70’s glam-rock star. 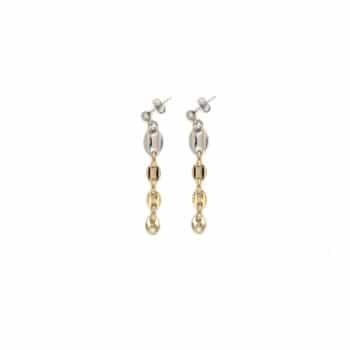 The Davis earring is made of brass dipped in pale gold 24k, it is designed and handcrafted in France. Sold as single. Keep away from water or cosmetics for a longer lasting, available in two colors and nickel-free.